Beetroot kuruma recipe (beetroot curry w . . .
How to make mutton biryani || mutton bir . . . Traditional sundakkai vathal kuzhambu || . 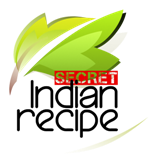 . .
Peanut ladoo preparation || prepare swee . . . Cooking noodles in water || how to cook . . .
Roasted brinjal chutney || burnt brinjal . . .
Chow chow chutney || chayote chutney pre . . .
Iron rich gongura pachadi recipe || gong . . .
#steamedrecipe || learn sweet corn chaa . . .
Idli podi recipe || chutney powder prepa . . .